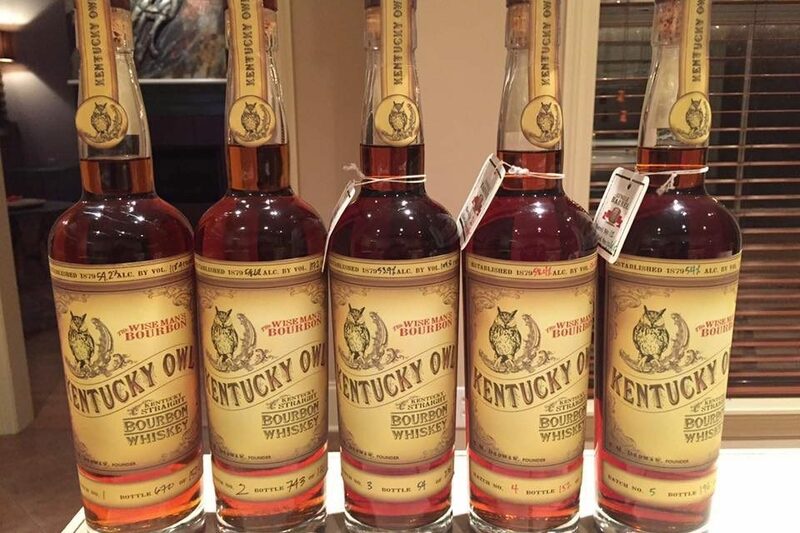 One of the most polarizing spirits to come out of the Commonwealth lately is Kentucky Owl, a newly resurrected pre-prohibition bourbon brand marketed by the proprietor of the Beaumont Inn in Harrodsburg, Kentucky. Since the first release of around 1,100 bottles, this small batch, cask strength bourbon has drawn praise and criticism in equal measure and quickly begun fetching twice its retail price of $170 on the gray market. I was able to get my hands on some of the much-anticipated Batch 2 for tasting, so I can finally see what all the fuss is about. The bottle is tastefully traditional, remaining faithful to the brand’s roots while the sometimes gimmicky packaging populating shelves of your local package store. On the label, proof and bottle number are handwritten, the bottle reviewed here being number 534 and clocking in at a respectable 117.2 proof. One element notably missing from the label is an age statement, a gripe understandably expressed by many, considering the premium price tag. 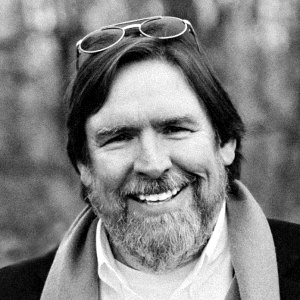 According to owner Dixon Dedman, the 1,380-bottle run of Batch 2 is a blend from six barrels each aged around nine years and each re-barreled in new charred oak at the four-year mark. 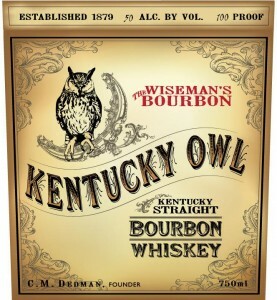 In the glass, Kentucky Owl is tawny in color with glints of pumpkin orange. The nose presents notes ranging from sweet corn and a spicy edge of black pepper to what recalled to mind the scent of a surplus canvas army tent- in the best possible way. The addition of a splash of water and a rest revealed a raisiny fruit and walnut aroma. It drinks pretty hot- hotter than expected from a 58.6% abv whiskey. For the sake of tasting, I added a little water, though on a different night I’d have left it as is. The mouth-feel was quite dry, with a note of oak tempered by fresh corn and followed by hints of tobacco and dark jam. The finish was moderately long, with the lingering taste of holiday spices accentuated a woody note.